Glamorous like a rare sapphire this is how stunning the beauty of the island really is. Cliffs which emerge from the turquoise -sapphire waters and one of the largest coasts spreading from east to west create a landscape beyond any imagination. 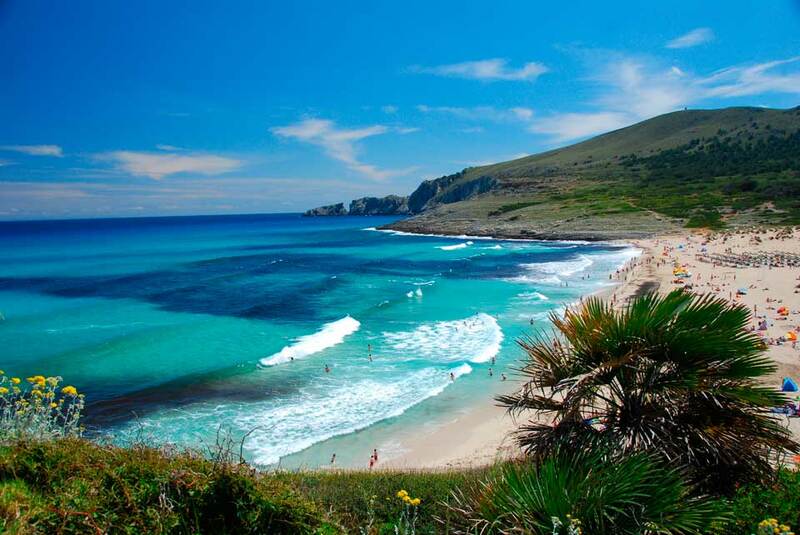 The island’s colorized coves, the variety of activities offered (cycling, hiking) has made Mallorca the ultimate summer destination. Could you think of a better place for summer relaxation? The vast plains with the olive trees, the vineyards, the almond tress weave the best natural carpet which unfolds in front of you in real time. The Serra de Tramunntana is waiting for you to discover the villages around. They are of such beauty that they will make you fall in love with every single one of them. For such a beauty you certainly need a unique mean of transportation in order to reveal this treasure. We know how important travel memories are and we will help you create the best ones. How? By hiring a minivan at www.vanrental24.com rely on van rental and don’t worry about a thing. Beyond any doubt the city’s major architectural landmark is the Cathedral. Drive with your 12 seat minivan there and have the pleasure of seeing an insurmountable masterpiece. Its stunning interior is the result of the genius of both Antoni Gaudi and the renowned contemporary artist Miquel Barceló, and makes it unlike any cathedral elsewhere in the world. 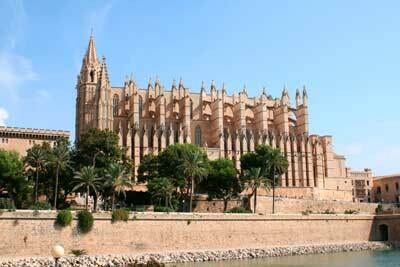 Its amazing structure is gothic, but the main façade distinguishes because it is a blend of many influences. It combines both renaissance and neo-gothic. Since you are near benefit from the chance and visit the Palau de l'Almudaina that was originally an Islamic fort. This mighty construction opposite the Catedral was converted into a residence for the Mallorcan monarchs at the end of the 13th century. It is still occasionally used for official functions when King Juan Carlos is in town. At other times you can wander through a series of cavernous stone-walled rooms with sumptuous decoration. Culture is in the air so fasten your seatbelt relax in the comfortable seat of you van hire and drive to the summer residency of Sand and Chopin. Before becoming their rental accommodation it was a monastery. The monastery’s building is surrounded by gorgeous gardens and unhindered view. While discovering the interior you will find in the couples quarters , Chopin’s piano, some manuscripts and his death mask. You will never going to feel closer to one of the greatest personalities of music. Spending time at the park always can brighten up your day, since you do not have to worry about buses and schedules because you have your van hire at your disposal visit the Parc natural de S’ Albufera . It is a protected wetland just south of Port d’Alcúdia, it is a paradise for birds some of them very rare more of 300 species have been found here. After a 1 km walk an astonishing inlet will be revealed in front of your eyes. It is also an ideal spot for a picnic. Mallorca’s countryside must be one of your top priorities and with your minivan rentals it’s easier than never before. All you need is the company of good friends and the mood for a lot of driving inside a truly suitable vehicle. The countryside of the island has been reborn from its ashes the locals are returning to their routes and the old manor houses and country estates have been brought back to life ready to compensate the visitor. Food is one of the greatest pleasures in life but you will have no trouble here. Mallorcan food is simply amazing and the variety of restaurants will confuse you fresh seafood along with the tasty and full of aromas local wines are calling you to live the best wine and dine experience.